Selvavision follows the code of best practices in sustainable filmmaking while offering services that will lighten your project's footprint on our planet. Selvavision has taken the 1% Pledge in order to further our commitment to giving back to our global community. 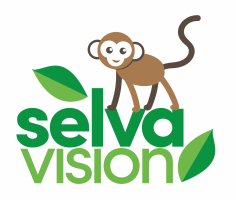 Selvavision partners with non-profit organizations dedicated to habitat restoration around the world through monetary, volunteer and in-kind donations. Here are some of the organizations we support. Because we sometimes must fly to a destination to attend a film festival or work with a client, and often need to haul equipment in a motorized vehicle, Selvavision offsets carbon by purchasing carbon offsets that directly mitigate carbon emissions in California through Terrapass. We also plant seagrass through Seagrass Grow! (a project of The Ocean Foundation).